Commuter rail performance is on the uptick -- but not on the Worcester line. BOSTON — Commuter rail riders might be experiencing some welcome deja vu, as the commuter rail vendor’s on-time performance last week [May 7-13] was at its highest point in more than two years. Refurbished locomotives put back into service have helped Keolis Commuter Service notch its best record of showing up on schedule since before historic snows in January and February of 2015. That snow caused historically bad service on the MBTA, leading lawmakers to place it under the direction of a control board. 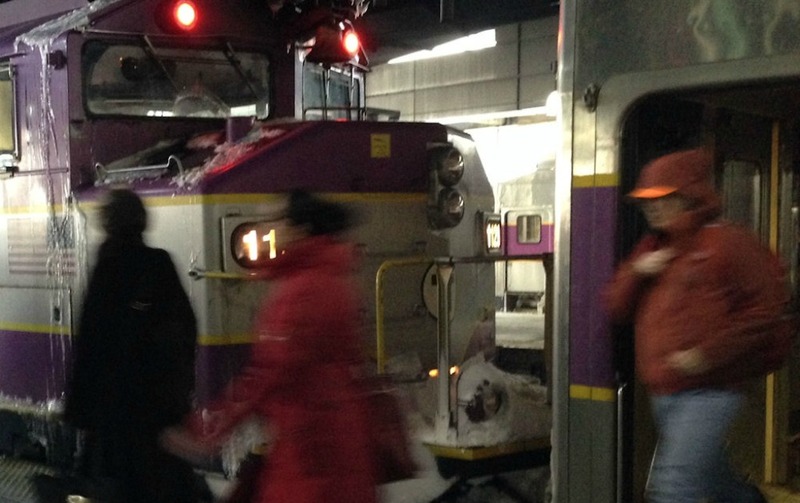 The commuter rail run by Keolis was also pummeled by the snow and cold two years ago, and it has recently been hampered by a lack of available locomotives, bad news for a system trying to gain public confidence. In April, an MBTA official said locomotive unavailability led to 17 cancellations in one day. Keolis General Manager David Scorey indicated Monday that the passenger rail vendor has turned a corner, but said more work needs to be done to improve the fleet. Scorey told State House News Service that every day of the last two weeks Keolis met or exceeded the requirement that it have 67 locomotives in service. According to Keolis, last week’s on-time performance of 94.1 percent was the best since the week that started in December 2014 and ended in January 2015. The four-week average on-time performance of 92.8 percent was also the best since January 2015, according to the company. On-time performance was worst along the Worcester line, which will receive a new train station in Brighton next week, when Boston Landing opens. There have been speed restrictions around the construction of the new station, according to Keolis. The shoe company New Balance funded the design and construction of the station and will cover the first 10 years of maintenance, according to the MBTA. Boston Landing is set to open May 22.